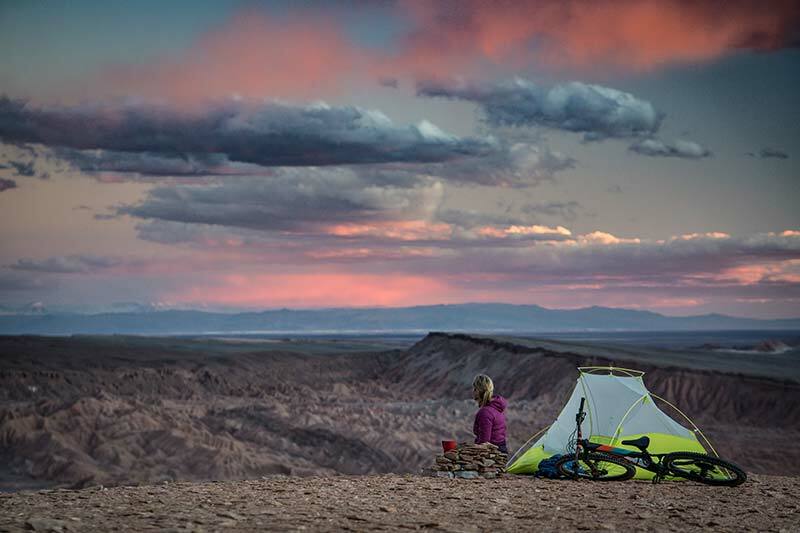 Lorraine and Robin had an ambitious human powered adventure goal: to embark on a multi-day bikepacking expedition on a route through the Atacama Desert in Northern Chile through wild unmapped trails and canyons. As the successful recipients of the 2017 MEC Adventure Grant, they brought their goal to life. 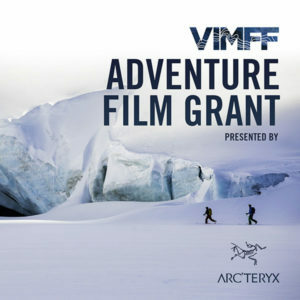 Get an exciting glimpse into their journey below and catch their film and full story at the MEC Adventure Night during our 21st AnnuaL VIMFF. 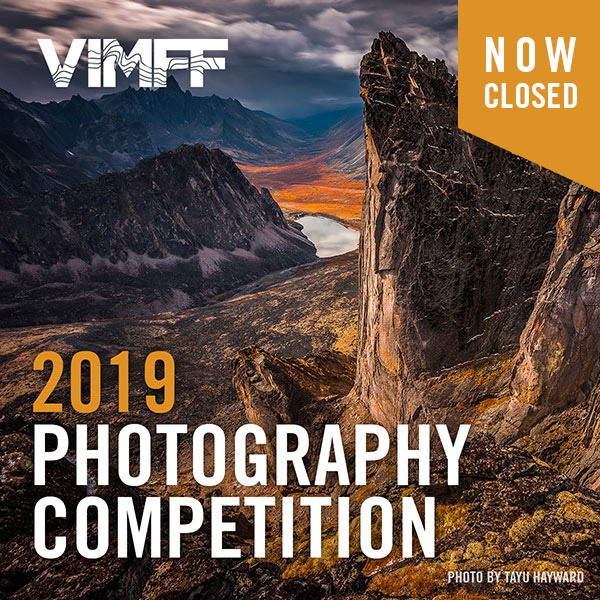 The 21st Annual VIMFF will take place from February 9-17, 2018 and the program will be announced early January. 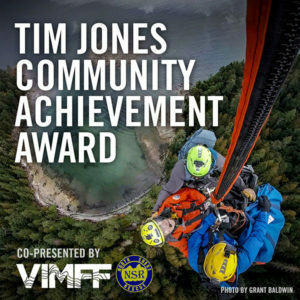 Do you have an adventure goal in mind? 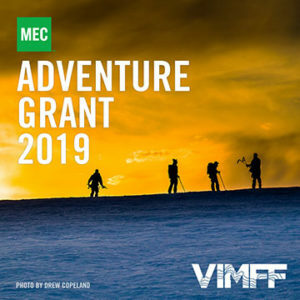 Be sure to apply for our 2018 MEC Adventure Grant. The Atacama Desert, known to be the driest non-polar region on earth, is a barren and inhospitable place. Located in Northern Chile, bordering Argentina and Peru, it’s roughly 105,000 square kilometers in size. Although it’s not the largest desert in the world, after 3,000,000 years of being hyper-arid, it’s known to be one of the oldest. Those who venture to this ancient geographic region are treated to magnificent vistas and rich cultural experiences. Its mars-like landscape is primarily composed of rock and shifting sands that have danced with the wind for many years. Salt flats act as white freckles on an otherwise brown backdrop and a myriad of canyons are a distinct visual contrast to the towering 5000 meter tall volcanoes standing on guard along the eastern horizon. Due to its crystal clear night skies, low aridity, lack of light pollution and high altitude setting we were treated to the most amazing celestial displays imaginable. The area’s cultural growth started around 500 BC when hunter-gatherers congregated around life-sustaining oases. As mountain bike explorers, what caught our attention was the endless kilometers of natural ridgelines scattered with unmapped wild trails and historic salt trade routes created by earlier civilizations. This alluring geographical area, interspersed with magnificent cultural experiences, offered adventure and challenge beyond the confinement of traditional mountain bike trail networks. Planning for this trip was unique. Conventional information sources such as maps, guidebooks, rider beta and even more popular tools such as Trailforks were just as sparse as the landscape we were trying to understand. Other challenges such as extremely limited water sources, daily temperature swings from lows of -10 °C to highs of +20 °C, unpredictable mountain weather, living at a high altitude of up to 4100m and limited communication for our safety plan all compounded to add additional layers of difficulty. Overcoming all of these challenges to successfully link together a network of unmapped and often unknown trails to create a multi-day bikepacking adventure was an exciting undertaking. On this journey there were no porters or Sherpa’s. Everything we needed had to fit within our carrying limits on the bike. Our gear needed to be methodically calculated as we wanted our packs to be as small and light as possible, without sacrificing safety and comfort. We premade all our delicious and hearty meals with “just add water” ingredients and served them in foldable bowls that not only reduced space in our packs, but also eliminated grey water as there were no dishes to clean up so we simply unfolded the bowls and licked them clean with our tongues. Other key items included Western Mountaineering -15 °C down sleeping bags and EXPED dowmat sleeping pads. Both are industry leading for compressibility and weight. Our shelter, cooking supplies, safety gear, repair kit and personal items all comfortably fit into an Osprey Escapist 25L backpack, Osprey Straightjacket 20L compression sack and a 15L seatbag. Before we left Canada, we spent extensive time virtually exploring the Atacama using Google Earth. A small sample of landscape photos found on social media and internet pages also revealed clues to where we should concentrate our efforts. You can only gain so much confidence and knowledge with this approach, so to maximize our chances of success; we needed to pair our pre-planning with local knowledge and first-hand exploration once we were in the region. Upon arrival in Chile, our first stop was San Pedro de Atacama, a culturally authentic tourist town of limited amenities. Following classic mountain biker intuition, we immediately set out to visit a local bike shop. Not that we expected it, but our western culture vision of a bike shop was not what we found. A small doorway led into a tight room housing a single mechanics stand and the remaining space was filled with an assortment of various bike parts, many of which were used and generations behind what would be found at MEC. This small shop may not have been filled with the latest and greatest equipment, but what we found within its adobe walls proved to be invaluable. By luck, we serendipitously met up with locals, Guilherme Hoshino and Andrej Novak, who proved to be the backbone of our success. Guilherme, the bike shop mechanic and an integral member of a small, core group of local mountain bikers knew the regions frontcountry trails. Andrej, an experienced bikepacker, local sightseeing guide and owner of bed and breakfast, wasn’t a regular at this shop, but we were fortunate to have met him on one of his rare visits. Teamed up with these key locals, we further scoured Google Earth and digital topographical maps on Gaia GPS to continue to gain insight and ideas into the finite intricacies of the local terrain. Pre-trip, we had high hopes of riding a route along the high plateaus near the borderline of Chile and Argentina. We learned from Guilherme and Andrej that this area was littered with unmarked and active landmines from previous wars so, needless to say, we didn’t go there. Another area that we had spent extensive time pre-planning to visit became inaccessible within days of our arrival due to an uncharacteristic and notable early season snowstorm. Even with these setbacks, we were able to identify a few promising areas that could potentially provide the rich and uncharted experience we were hoping to find in the Atacama Desert. Armed with local knowledge and insight, it was time to continue to grow our understanding of the topography and find solutions to its challenges. Our first days were a mix of riding frontcountry trails with Guilherme and discussing potential route access points with Andrej. As the trip progressed, we explored deeper into the backcountry, often driving endless kilometers on dirt roads, camping out overnight and going on exploration rides. Every kilometer explored, every night under the stars and every remote location visited gave us a more intimate understanding of the diverse landscape. Nearing the end of our trip, we identified a route no bike had likely gone before. There were still a few unknowns, but we felt confident that we could safely and successfully navigate a multi-day, bikepacking route by linking together unmapped wild vicuna trails and carved out canyons.